My husband brought home a bag of gorgeous, organic Meyer LEMONS, which are in season now (January-March). Meyer lemons are thought to be a cross between lemons and mandarin oranges, so you can imagine they have a sweetness to them in addition to the usual tang you find in lemons. 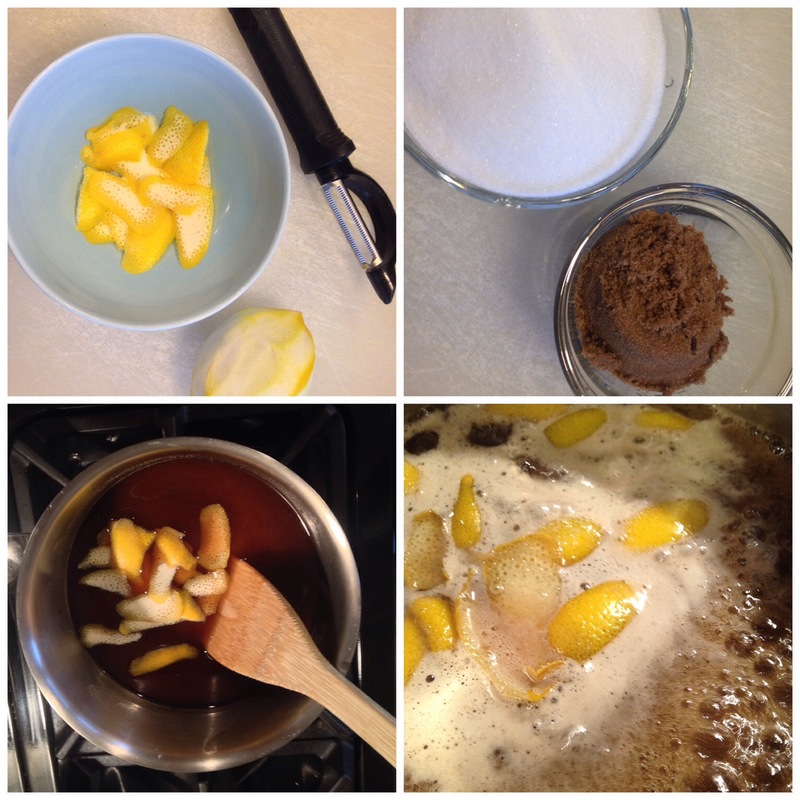 Meyer lemons are also juicier, more tender and have a thinner peel than regular lemons. Swooning! 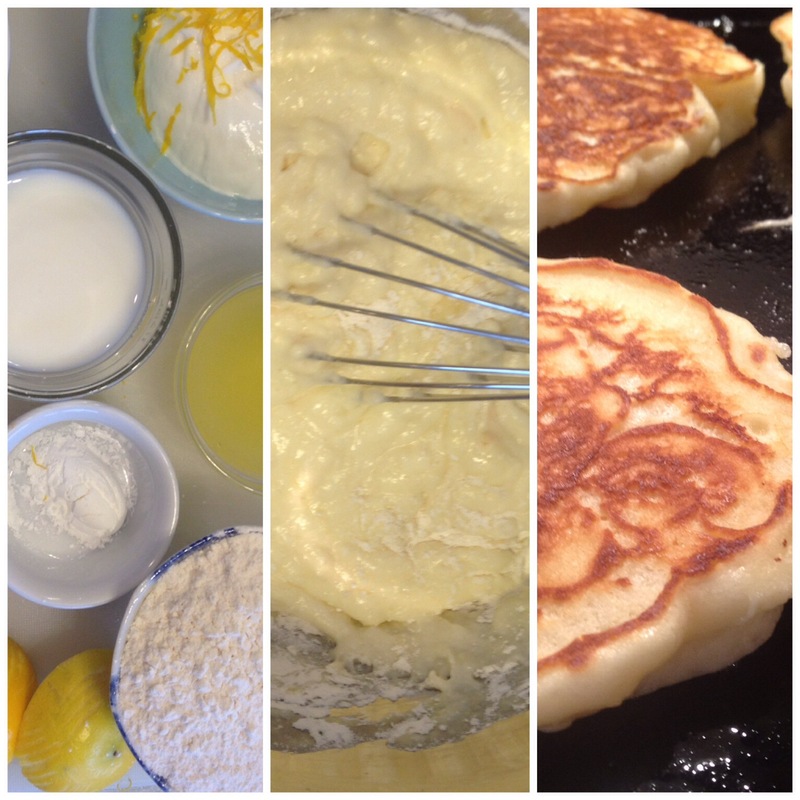 These pancakes were INCREDIBLE -fluffy, a little sweet but tangy from the lemons, they cooked like a dream. 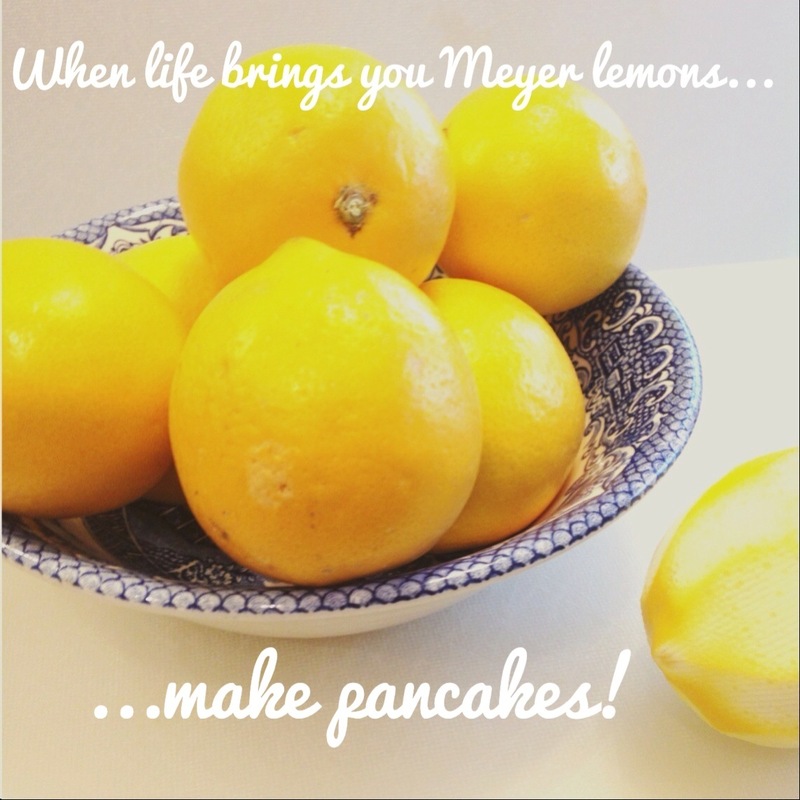 I did some research to find recipes to use up these beauties and decided breakfast was the way to start: Lemon Pancakes amped up with the tangy sweetness of the Meyer lemons. Before I started on the pancakes, I made some Homemade Lemon Syrup from this recipe using freshly-squeezed Meyer Lemon juice. This quick and easy homemade syrup is full on lemony-goodness that makes a perfect complement to the lemon pancakes. In fact, I’m pretty sure they’re dating now. Place sugars and water in a medium saucepan. Heat over med-high heat, stirring occasionally. Add lemon peels and bring to a boil. Let boil for 2-3 minutes for thin syrup, 4-5 minutes for thicker syrup. Mix together flour, sugar, baking powder, baking soda and salt. In another bowl mix together the remaining ingredients. Pour this wet mixture into the dry and stir quickly, only until just blended. The batter will be thick and bubbly. Pour about 1/4 cup of batter for each pancake onto a preheated hot griddle. Cook until bubbles come up and other side is golden brown. Flip over and cook for 1 more minute. Serve with Lemon Syrup (above). 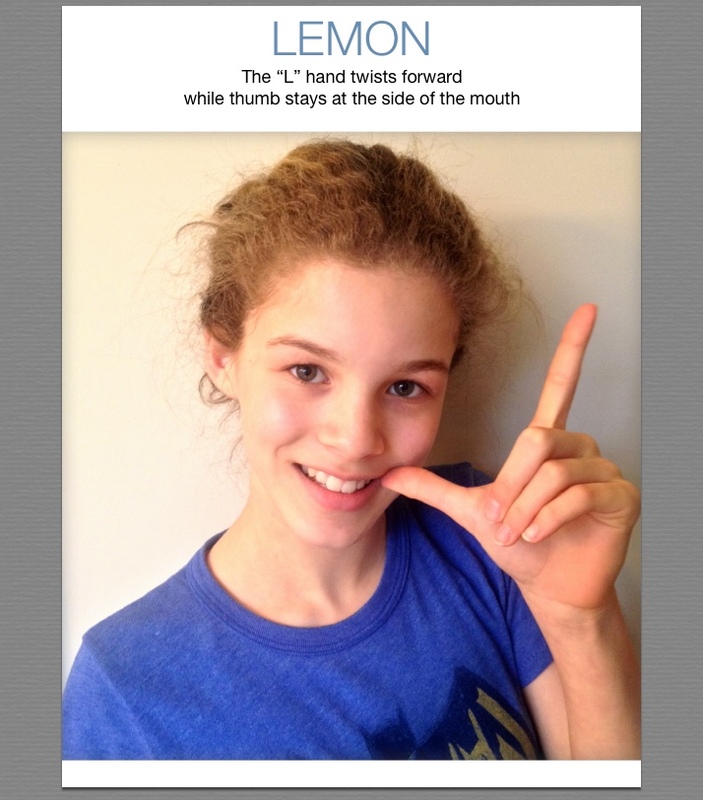 Here’s how to sign LEMON in American Sign Language. What do you do when life brings you LEMONS?